Where did they go bananas with the paintroller....? Strange that nobody have managed to take a picture in daylight in none of the forums I frequently visit. Last edited by Sterkoder; November 24th, 2009, 20:22. Now i wonder how many complaints it will take for them to paint that out? It just looks awful on them. I have no objection in principle but the execution is ghastly. Why did they get the "H" so close to those scuttles (or whatever they are)? Small and discrete would be a whole lot better. I saw NX earlier this morning... some images will be posted (soon). Poor lady What have they done to you? Well, bye bye old lady... My new boat is now "Nordlys"
And I would like to thank you for your informativ and "live-reports" - comments from the inside-life of Nordstjernen. 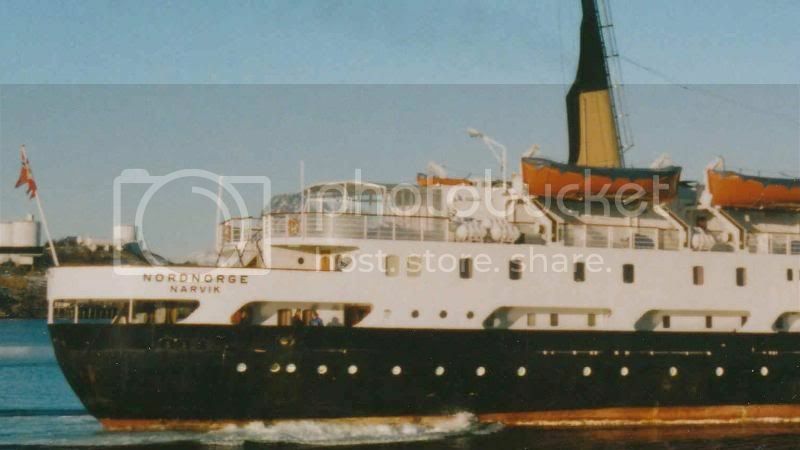 And I hope you will continue to update us on the life onboard Nordlys. 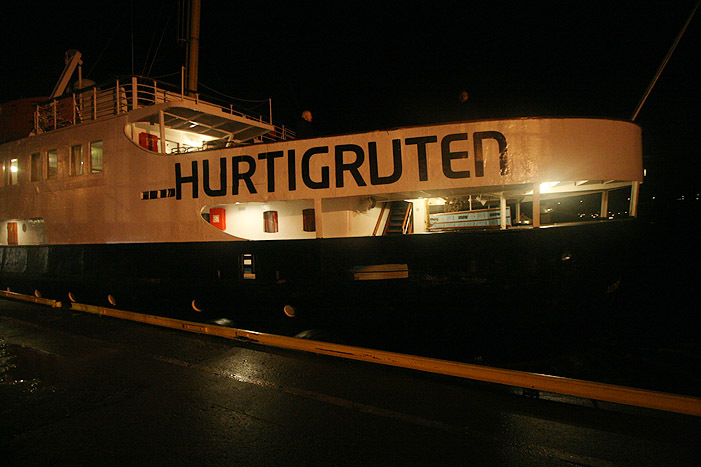 have sent e-mail to the Hurtigruten Group ASA! Right to tell what I think of that they have painted the ugly "LOGO" on the side of the M/S "Nordstjernen"
Last edited by Joakim; November 27th, 2009, 20:14. The new logo makes Nordstjernen look like a tacky night club.